I was there the day my husband became a Bar Mitzvah. He, like several others who stood with him, had chosen Judaism as an adult and therefore didn’t have the chance to celebrate Jewish “adulthood” at the age of 13. Some who stood with him were born Jewish, but were raised without a Jewish education. And some were raised in homes in which girls did not celebrate b’not mitzvah. My husband, like the other ten adults in his class, stood confidently before the congregation as he led Hebrew prayers he had come to appreciate and love. He stood proudly, reading Hebrew letters, singing Hebrew Torah blessings, and reciting the original Hebrew words of Torah. I saw the transformation for him and the other students; I sensed the moment when each one felt fully part of the community. The joy and pride was palpable on that day and the rewards for these students continue to unfold. Teaching another Adult B’nai Mitzvah class has been a dream since that day over a decade ago. 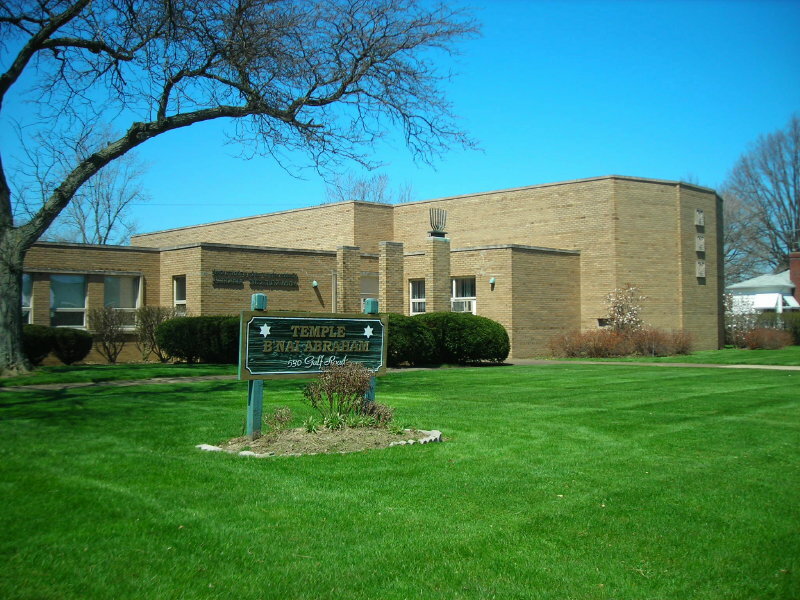 It is a way to help individuals become a part of something greater and perhaps to feel comfortable in synagogue for the first time. It is a chance to share a love of the Hebrew language, an understanding of the meaning and purpose of prayer, an appreciation for rituals which may initially seem arcane, and a passion for asking questions and seeking answers. It is an occasion to build trusting relationships and to grow and change together. It is an opportunity to help others face fears, whether learning to read Hebrew or speaking in front of a congregation or committing to a course of study. Adult B’nai Mitzvah is about taking control of our lives and taking our place in the community. It’s about letting go of excuses and embracing possibilities. It is a chance to learn together and to celebrate together. It opens up a new beginning, a new relationship with Jewish practice. Rosh Hashanah, the Jewish new year is fast approaching. 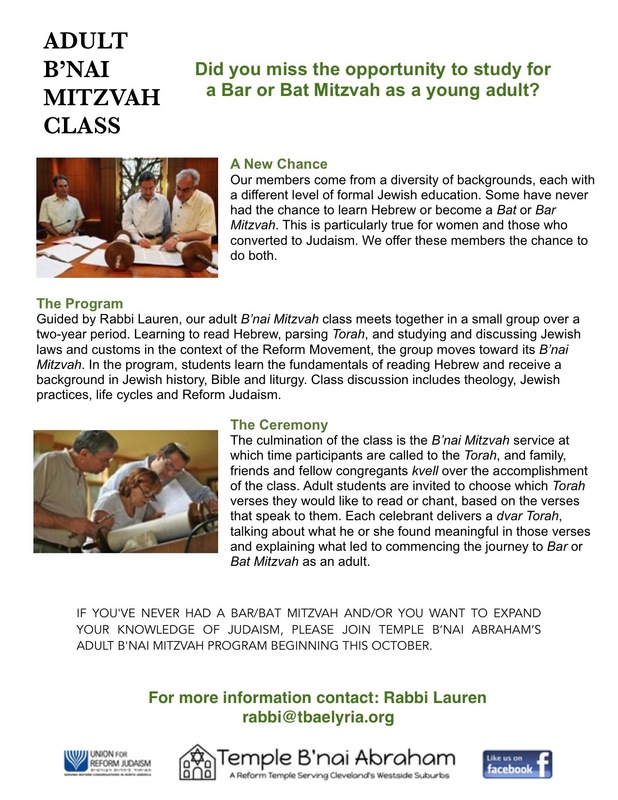 Just after this new year begins, our Adult B’nai Mitzvah class will begin! If you have not celebrated a Bar or Bat Mitzvah, please give it a try. We will meet twice a month for two school years as we learn from each other and prepare for our special day. I can hardly wait to make this happen with you! Our first session will be Sunday, October 16 at 11:00am. See you there!